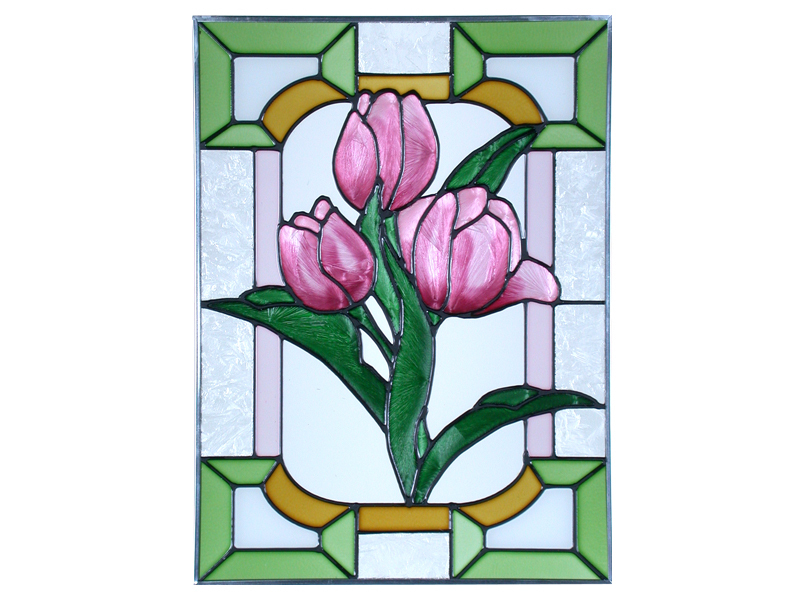 "Stained Art Glass TULIPS Panel" Delicate tulips in dazzling pink light up this hand-painted art glass panel! This vertical panel is zinc-framed and measures 10.25" wide x 14" high. It features two soldered metal rings along the top for hanging. FREE Chain Kit Included!!! Shipping ONLY within the Continental U.S. Please contact for shipping quote before buying if you live in Hawaii or Alaska. PLEASE NOTE: Shipping ONLY within the continental U.S. Hawaii, Alaska, and Puerto Rico must contact seller for shipping quote before ordering.